Jaeger means hunter in German and the Winkler Jaeger is built tough to manage any hunting chore. 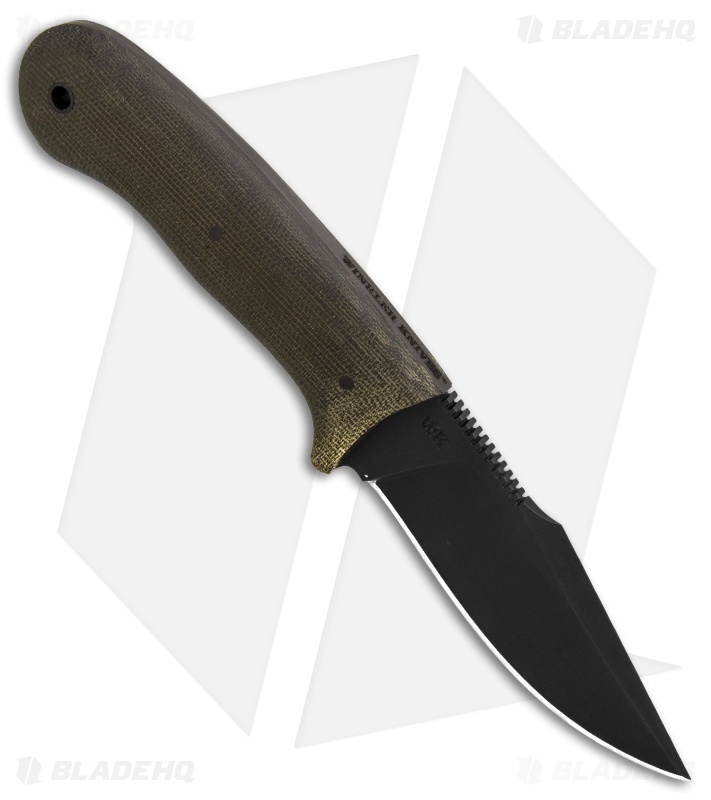 This model is equipped with green micarta handle scales and a black Caswell finished blade. 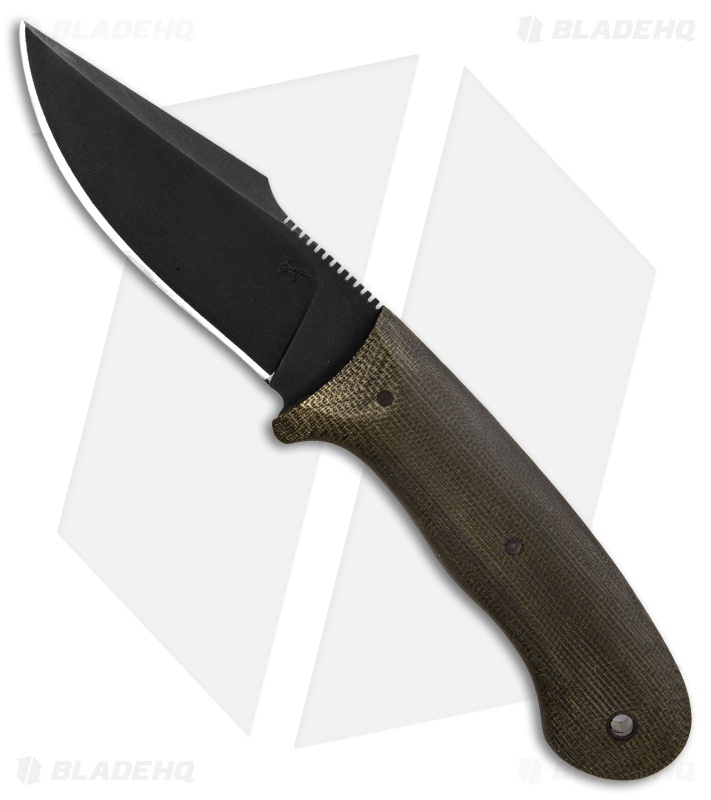 The Jaeger was designed by Jason Knight to be your go to outdoor knife. It has a curved belly and a sharp tip that is ideal for skinning, piercing, or general utility tasks. Sculpted handle scales and aggressive jimping along the thumb rest provide the necessary blade control for tough jobs. Add a high performance Jason Knight design to your outdoor gear with the Winkler Jaeger fixed blade. Contoured micarta handle scales provide a secure and effective grip. 80CrV2 carbon blade steel offers excellent sharpness and durability. 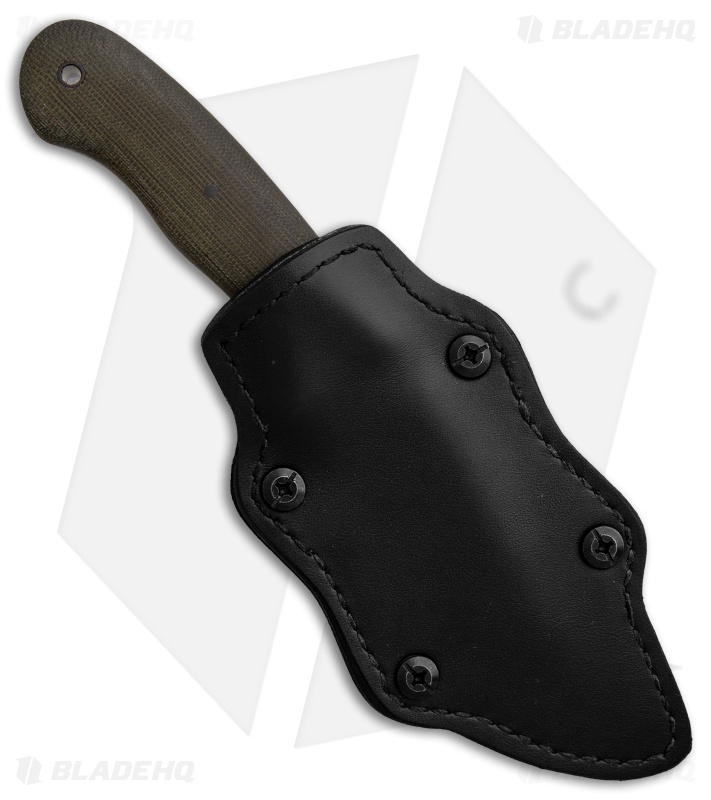 Item includes leather sheath with a kydex/steel clip for comfortable belt carry.